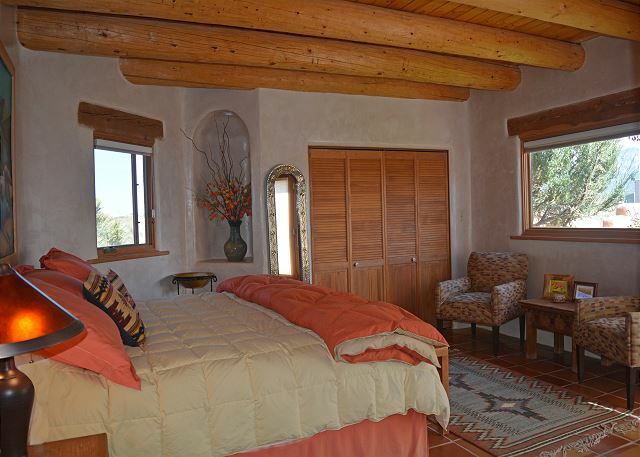 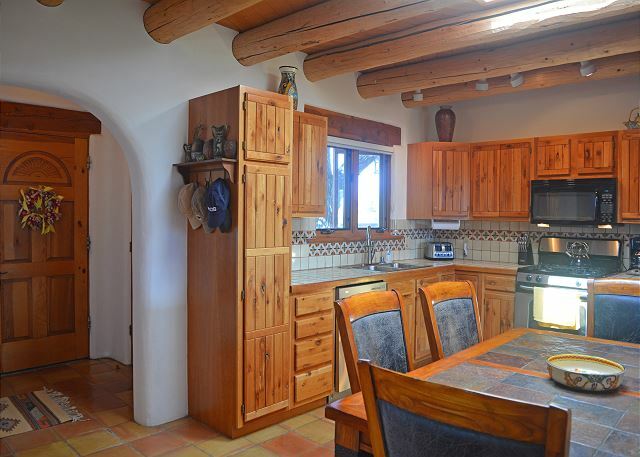 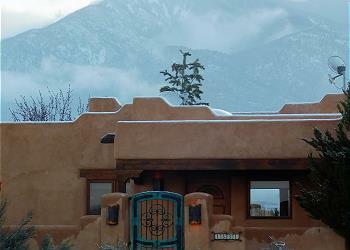 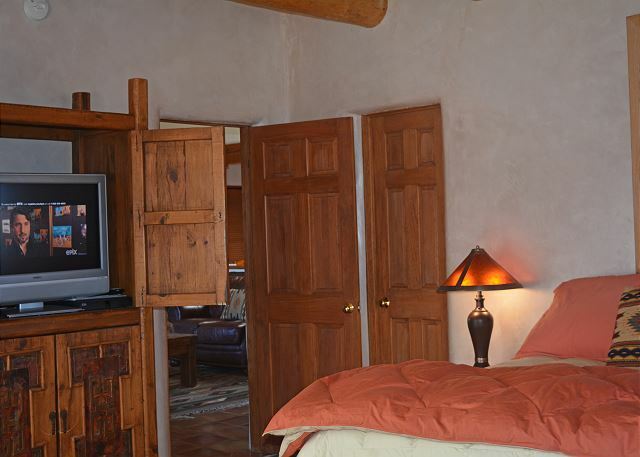 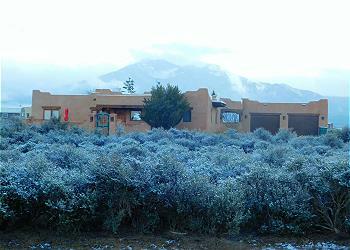 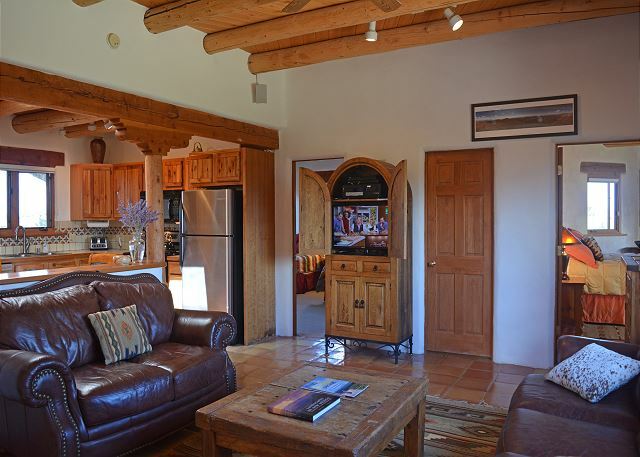 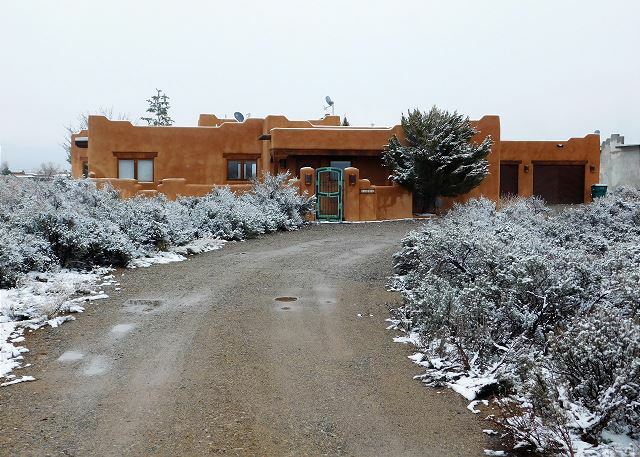 Set amidst the sage with stunning Taos Mountain views, 360 degree mesa mountain views and located a short distance between Taos Ski Valley and the town of Taos makes "House of the Turquoise Gate" an ideal vacation getaway. 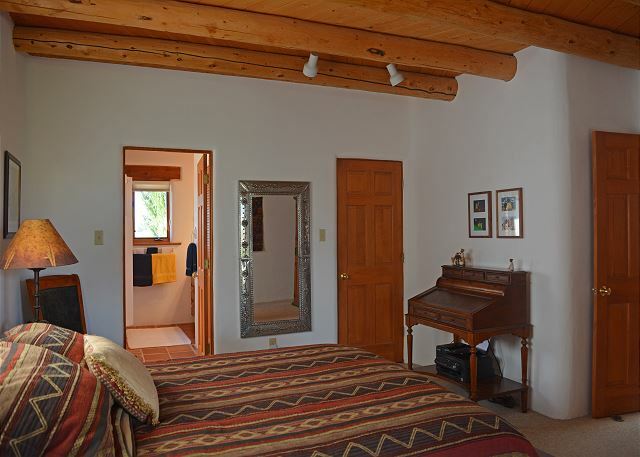 With the discerning vacationer in mind, this top choice 3 bedroom 2 full bathroom view home has been tastefully appointed with upscale furnishings, bedding, décor and art. 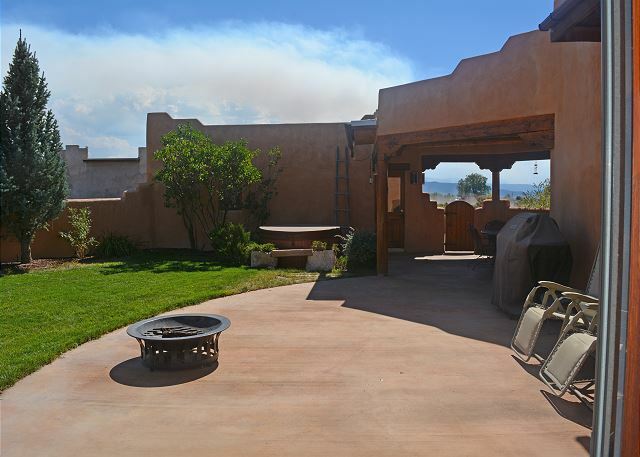 The east adobe wall enclosed, and beautifully landscaped, yard, offers total privacy with breathtaking panoramic views. 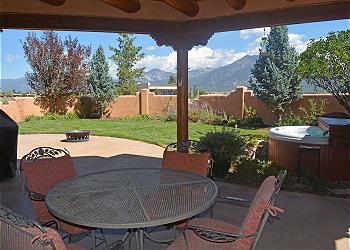 Also provided is a wood burning steel fire pit, gas grill, private hot tub and covered portal (Spanish for covered patio or walk way"). 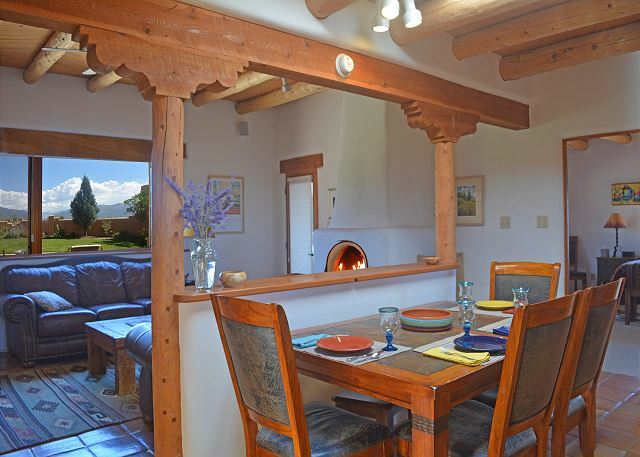 Behind the "Turquoise Gate" is a second adobe wall enclosed private area with patio table, chairs and Mexican "horno" (earthenware wood burning outdoor fireplace) lovely for ambiance and roasting marshmallows. 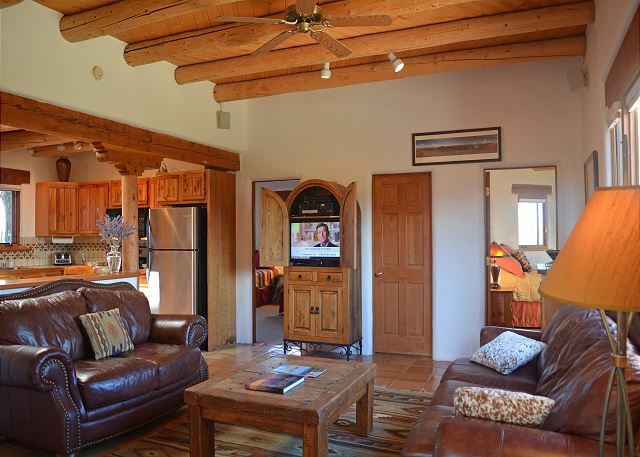 Top to bottom, southwest architecture fills every room from viga ceilings to Saltillo tile floors plus wood burning kiva fireplace takes center stage in the great room. 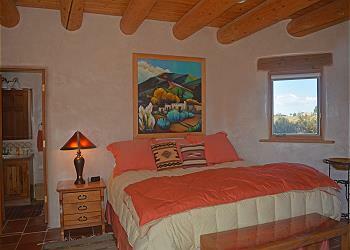 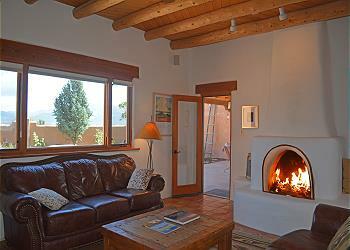 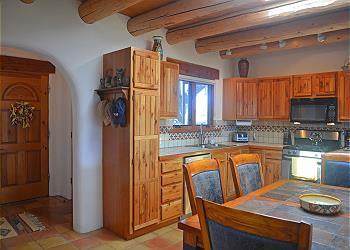 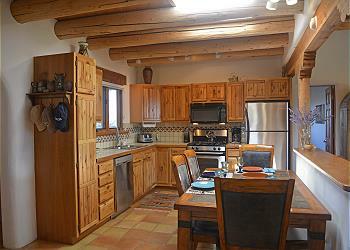 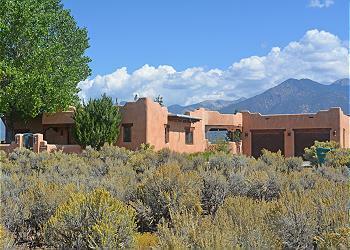 Every window offers either mountain or open mesa views with additional distant mountain views. 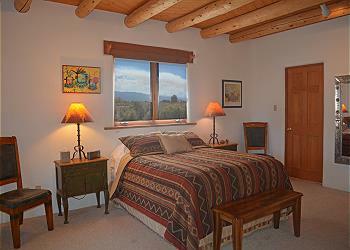 After a day of Taos skiing, hiking, biking, fishing, shopping, touring, exploring, guests return to the amazing star filled skies like they've never before experienced. 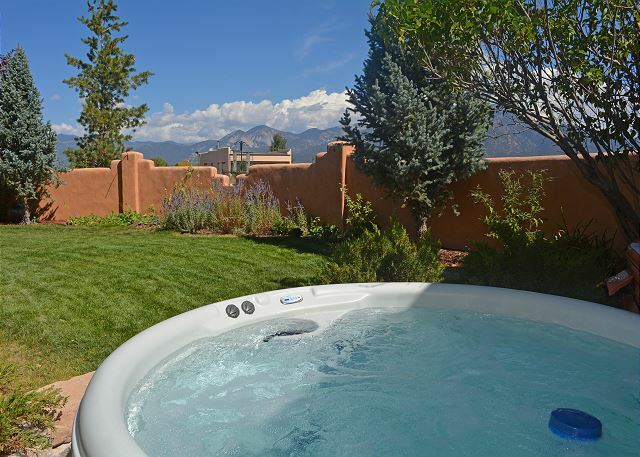 A soak in the hot tub viewing Taos dark night skies without city light glare has been labeled "a life changing experience". Choose to lodge at "The House of the Turquoise Gate" and your group will experience all of the above.